Kids love this fun, hands-on event. Come and make nature crafts to take home with you. 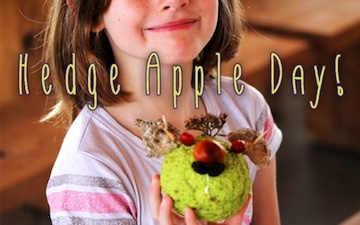 Our classic craft – the Hedge Apple Goblin – is the star of the show. All nature items are collected right here at the Arboretum. – just a couple more of the kid-friendly activities at the Arboretum. Friends of the Arboretum members are always free.